This week, children across Holbrook were awarded certificates, medals and awards for their excellent work and efforts across the curriculum. These pupils have embodied the spirit of Holbrook, working tirelessly, improving and always showing great determination to succeed. Author Mr ThornsPosted on July 20, 2018 Categories L.R.P, Whole School, Year 1, Year 2, Year 3, Year 4, Year 5, Year 6Tags AspireBelieveConquer, Assembly, Celebration, GoodLearners, Parents, TeamworkLeave a comment on Final Celebration Assembly! In an important celebration assembly, children from across the school were awarded certificates for their hard work in lessons across the curriculum. Some were awarded praise and certificates for their hard work counting in Maths, for their skills in addition and multiplication and for their diligence in never giving up and working hard with others. Equally, some children were awarded certificates for their resilience and stickability, with tasks that were hard and needed children to persevere. One pupil had even written a letter to their teacher, asking if they could help others in the class in the role of a “classroom assistant” such was their keenness to help their classmates to improve! Another was presented with an award for stepping in at the last moment to save her class assembly after another child wasn’t available to play their part. THE OVERALL WINNER FOR HOUSEPOINTS THIS YEAR WAS… Attenborough (Green) ~ who will be wearing their non-uniform on Monday. Well done! Good Learners Assembly ~ Friday 22nd June! This morning, children across the school received awards for their excellent efforts and achievements in learning throughout the curriculum. Bronze: Ruby A-S, Jasmine R, Erys C, Taylor M, Kai D, Tye H & Katie C.
Gold: Serenity A, Isabelle S & Hannah! Housepoints this week have not been collected, as Year 6 are in Wales! Author Mr ThornsPosted on June 22, 2018 Categories Whole School, Year 1, Year 2, Year 3, Year 4, Year 5, Year 6, Year RTags AspireBelieveConquer, Assembly, Celebration, Collaboration, English, GoodLearners, Maths, Parents, ProblemSolving, ReadingLeave a comment on Good Learners Assembly ~ Friday 22nd June! Year R’s Very First Assembly! Today. children in the Reception class performed their class assembly to the whole school, with an excellent information about their work in school. Starfish and Seahorse classes told the school about their work on looking after the duck eggs, as well as their visit to the local farm with Bedenham school too. 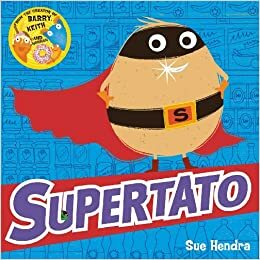 They also presented their work on SuperPotato – showing us a range of their work and drawings. They explained that the evil pea had stolen their class teddy, which the children then had to use clues to save him! They also showed us a selection of their superhero outfits, which the Starfish and Seahorses have been wearing in lessons too! They also performed a great song by the “Let’s Go Heroes” which the children sang along to as well. A brilliant assembly, where children were very brave to speak to the whole school (and their parents) in a very busy school hall. Well done! Author Mr ThornsPosted on June 15, 2018 Categories Whole School, Year RTags AspireBelieveConquer, Assembly, Celebration, FindingOut, Fun, Parents, TeamworkLeave a comment on Year R’s Very First Assembly! Today, children across the school celebrated their achievements, with the Reception classes joining us too for their first celebration assembly today. Great ideas from children in Year 2 with their English writing, while other children were awarded praise for their hard work in sessions supporting other learners along the way. Some children were rewarded for their efforts in classroom, while others celebrated their determination to attend school, even when feeling a little under the weather! Alongside this, children were praised for their hard work on difficult topics such as time and digital clock work, as well as applying themselves to a range of lessons across the curriculum. Year R children received celebration praise for their kind work with others, not giving up and choosing sensible learning along the way! Year 5 pupils also received praise for their new work using the online “Third Space” Maths learning programme. This week, staff from across the school presented awards to children who had show excellent use of the Holbrook Transformers. Some were awarded praise for their efforts with others (Colla), for their own self-knowledge of themselves (Kit Young), their resilience in times of difficult work (Resi) and their excellent stick-ability (Magna). Blast Off Music Visits Holbrook! Today, as part of our music day at Holbrook, children across the school had an opportunity to take part in orchestra music sessions with Rich from Royal Hospital School, who showed us a range of instruments, their notes and their capabilities in assembly. 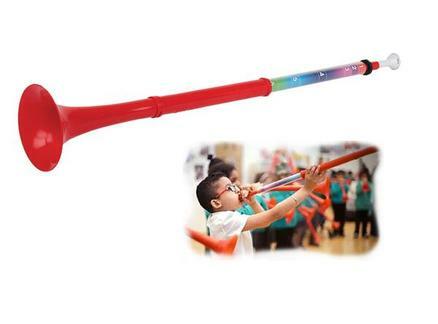 Later in the day, children had the chance to play p-bones (a plastic version of a trombone) and a p-buzz as well, joining in with a performance at the end of the day as well. We were extremely lucky to have Rich visit us today, sharing his amazing musical skills and sharing this with our school, giving the children an opportunity to share this on a wonderful musical extravaganza! Let us know what you thought of the day by leaving a comment below! Author Mr ThornsPosted on May 4, 2018 Categories Whole School, Year 1, Year 2, Year 3, Year 4, Year 5, Year 6Tags AspireBelieveConquer, Assembly, FindingOut, Fun, g, Music, VisitsLeave a comment on Blast Off Music Visits Holbrook!